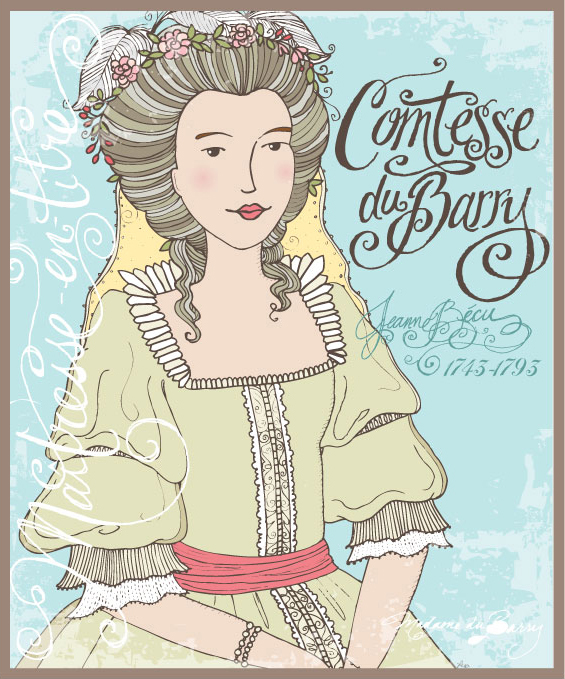 Madame du Barry (1742-1793) was the last Maîtresse-en-titre of Louis XV of France and one of the victims of the Reign of Terror during the French Revolution. Louis was having a very very very expensive necklace made for her before he died. This diamond masterpiece caused some controversy as it was never paid for and many tried to claim it. She was an “official” mistress- which is fascinating-this was a normal title, it’s like being dubbed “Head Harlot” (ah… no pun there, I swear.) I personally, picture her life in the castle as the white trash girlfriend at an expensive restaurant. i love the accidental pun!